Asbestos Consulting is a vital part of any project that has the potential to disturb an asbestos containing material. When your home, commercial building, industrial facility, business or school is undergoing a project where the potential of asbestos is present, be sure that either you or your contractor has a professional asbestos consultant as part of the team. UAS’ job is to ensure that the asbestos has been properly identified and assessed to determine if can be managed in place or whether it needs to be addressed by a licensed asbestos abatement contractor for compliance with all regulations. United Analytical Services, Inc. (UAS) begins the management by assessing the proposed construction area. 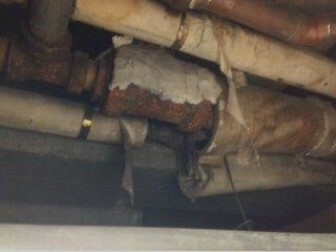 We will survey the area and inspect and assess it carefully for the presence of suspect asbestos containing materials. 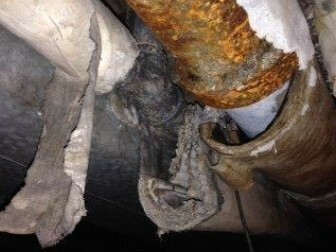 If asbestos is identified in a material(s), we will provide you a scope of work that clearly states what needs to be accomplished, how the material should be managed or addressed and what the project process should include in order to reach your intended project goal and maintain a safe and secure environment. Our team includes licensed asbestos inspectors, licensed industrial hygienists, professional engineers, management planners, project designers, project managers and air sampling professionals. Whether managing the material in place, or having the material removed, UAS can help. When planning an asbestos project you can be sure to receive a comprehensive design created by a licensed designer employed by UAS. If you need assistance with the evaluation and choice of asbestos abatement companies, UAS can help you with the bidding and selection process. We verify that each vendor is bidding the project properly to ensure all requirements and regulations are met. In addition, we can also provide a project manager on-site to oversee the implementation of the process from set up with barriers for containment, asbestos removal, final air clearance and tear down. Each staff member is trained in a minimum of two environmental disciplines adding experience and oversight to every project. We have the following IDPH licensed asbestos professionals: project designers, building inspectors, management planners, air sampling professionals and asbestos project managers. UAS asbestos professional team maintains licenses in Illinois, Wisconsin and Indiana. Once the project is near completion, United Analytical Services will conduct clean air or clearance air testing to ensure a safe environment before returning to renovation, remodeling or use. All reports will be made available to you as well as any employees or workers that may be concerned with the environment they work in each day. Whether your asbestos concern is a small, targeted/focused inspection, a pre-renovation or demolition inspection, a comprehensive inspection, response to the disturbance of asbestos, clearance air sampling following abatement or asbestos design or project management, UAS can assist you. Contact us to learn more about our Asbestos Consulting Services.